This course is designed to provide recognised training for carers and counsellors. It provides an extensive exploration of counselling skills and theories. It equips the student with counselling skills and techniques and introduces them to counselling models and major issues in Christian counselling. The programme is certificated by the Counselling and Psychotherapy Central Awarding Body (CPCAB) and currently runs at certificate levels 2 and 3. The programme runs on full time, part time, weekend and sandwich modes. It is designed to fit into the busy schedules of leaders. Our college and CPCAB (Counselling & Psychotherapy Central Awarding Body) have partnered to create an avenue where people can be trained as Christian counsellors. We emphasise the importance of the counselling relationship, differences and diversity. 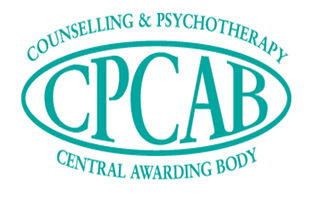 CPCAB is the professional awarding body for the counselling courses we offer. We offer Level 2, 3, and 4 in counselling training. This course is designed to help in bridging counselling skills gap within Christian community. This qualification could enhance an existing voluntary or paid role or increase the general employability of those seeking to enter the job market. • be prepared for work as a professional counsellor in an agency setting. It is designed as a pre- practitioner training for professional counselling qualifications but it could also lead to employment in a related field. Level 4 – Diploma in Therapeutic Counselling. This two year part-time qualification gives learners the knowledge, skills and competencies to work as a therapeutic counsellor in an agency context. It is designed to lead to an employed or voluntary role in a counselling agency in both health care and non-medical settings. Learners with sufficient experience can also begin working as independent practitioners in private practice.